Katy started her career at the BBC where she worked across a wide variety of shows in Entertainment and Factual Entertainment including the Rose D’Or winning series of How Do You Solve A Problem Like Maria and the first series of Strictly Come Dancing. She then went on to produce the US versions of both formats in America with You’re The One That I Want and the Emmy nominated, Dancing With The Stars. She first worked for Done and Dusted on The Victoria’s Secret Fashion Show in 2008 and since then Katy has gone on to be one of Done and Dusted's most illustrious producers. 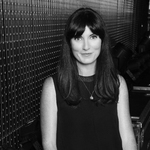 Not only is Katy exceptionally creative and constantly updating the team on current trends and innovations in media and culture, she also has the steadfast organisational skills and attention to detail that make a talented producer excel to another level. Katy loves to be challenged with the content she works on and sites her career highlights as being part of the Done and Dusted team that produced The London 2012 Olympic Opening and Closing Ceremonies.